Do You Want to Raise Kids Who Eat Vegetables? I hear so many moms talking about the struggles they have with getting their kids to eat healthy foods. Sometimes they have only a few select types of fruit they'll eat or they won't touch vegetables or they just want to eat nuggets and pizza. So many parents end up making different meals for their kids just to get them to put some food in their stomachs, often hiding vegetables in their entrees or desserts. Most of those parents are people who appreciate a wide range of foods and just want their kids to be healthy without fighting to get them to eat. A very early meal of steamed green beans, chickpea patty, and vegan mac-n-cheese. There's a nightly battle at the end of a long day. You spend time making a healthy meal and then no one wants to eat it. You find yourself negotiating eating just a little bit of one thing so your kid can get to the thing she really wants to eat, and hearing yourself say it is like listening to fingernails on a chalkboard. It's not what you want to say, but you're tired and you just want the kid to eat something healthy. A lot of health-conscious moms I know started out steaming and then pureeing everything for their new eaters, and the whole process took forever. They would freeze the leftovers in ice cube trays and then when the next meal time came, defrost a cube and sit with the baby to spoon feed him dinner. Other moms opted for organic baby food in jars and bypassed the pureeing. With both, when it came time to transition to real foods, they'd move to tiny chunks of food to whole food and just hope they'd take to eating different kinds of food. They also wonder if it's the right amount of food-- how can you really tell when it's you in charge of the spoon and not the person eating it? I didn't want to battle my child to eat healthy food and I didn't want to hide vegetables in her food just to get her to eat them. I didn't want to spoon-feed her and mix flavors together to get her to try peas. I didn't want an older child who refused to eat dinner so I'd have to make her a peanut butter sandwich so she wouldn't starve. Overall, I wanted my daughter to respect healthy food, choose it when given multiple options, and to eat without emotional attachment to her meals. I didn't shy away from greens with my baby; I just cut them small at first or left them in whole pieces for her to gnaw on. 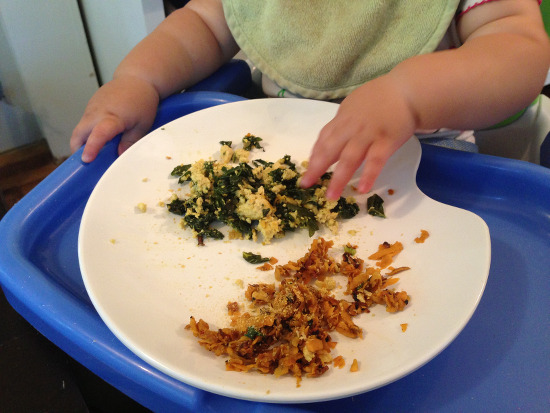 I found my perfect solution in baby led weaning. When I first heard about the concept of feeding a 6-month-old a whole piece of fruit I was freaked out but... intrigued. Wouldn't the baby choke? How could they eat something when they barely had teeth yet? But, on the other hand, a baby who learns to eat real food early would probably be more accustomed to different flavors and textures and could help me avoid the dreaded dinner dance. I have long believed in the concept of real food and how it nourishes us deeply; not just physically, but also psychologically, connecting us to the Earth and the beings around us. I think there's nothing better we can do than to eat a plant-based diet, and I wanted to instill that same thought process into my children. 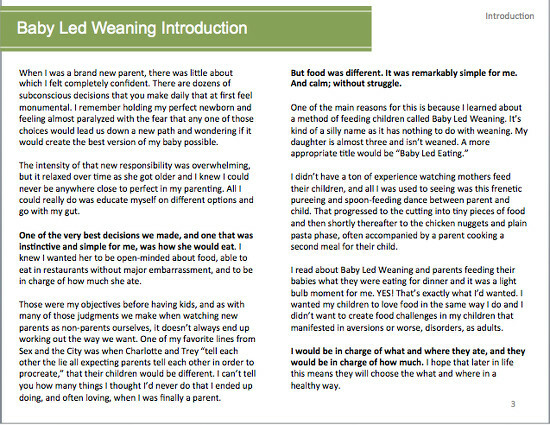 So I researched more about baby led feeding (a better term than weaning I think) and then when it came time to feed her food, I dove in. Right now she's 3. And she eats everything. She helps me cook or she plays while I cook and when I put our meals in front of her, she eats them and says, "mmmm!" She stops eating when she's done. Even on desserts and snacks-- if she feels finished halfway through she stops right there. Pieces of what I made the adults, including a few pieces of lettuce to work on and quinoa salad, which makes a huge mess and is therefore super cute. Of course, she has preferences and there are certain foods she doesn't really like, but I still make them and offer them to her dispassionately, "do you just want to try it?" I read once that a person has to be exposed to a new food 7 times before they develop a taste for it. Every so often she suddenly likes something that she consistently told me she didn't like before, "I like mushrooms tonight!" She often says that when she gets older she might like the things she doesn't like now. It's not a struggle or a battle or a dance, and that's how I always imagined our food life. It's peaceful and calm and simply... eating. I'm hopefully not attaching emotional responses to our food and I'm hopefully teaching her that when we eat real food from the Earth and cook it ourselves, we nourish ourselves and keep the world healthy. With my next child I plan to do it exactly the same way. I see my feeding job as this: I provide a wide variety of healthy, plant foods like whole grains, beans, vegetables, fruits, nuts, and seeds and she eats as much or as little as she wants of them. I choose the food, where we eat and when we eat it and she chooses how much she eats. 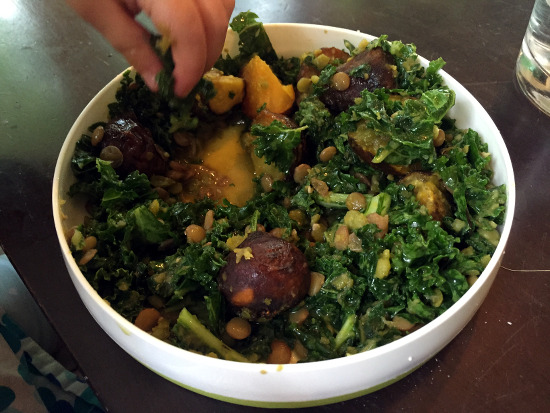 An older toddler picture of this hearty kale, sweet potato, and lentil salad that she loves. 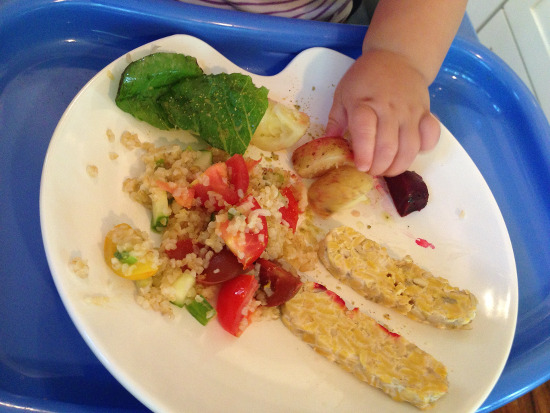 When I was starting out I didn't find anyone offering baby led weaning recipes for vegans. I ended up just making my regular recipes and adapting it to suit her needs. All of my recipes are adult recipes that she ate as a baby and eats now as a preschooler. These are the same recipes I serve guests. These aren't recipes for disguising vegetables in other forms; these are real recipes that we eat often. I very badly want the whole world to eat this way. In my utopian world, no one eats animal products anymore. Not only does that save millions of animal lives annually, but it saves humans from developing degenerative diseases that could have been prevented with a different lifestyle. If it happened tomorrow we could even have a chance of restoring our natural environment and reversing climate change. Though I may never see that in my lifetime, if this book can help even a few people to feed their children in a sustainable way that they carry with them through their lives, we've made a difference. My daughter loves a wide variety of healthy, plant-based foods. She eats things people are shocked to see like kale, quinoa, amaranth, lentils, salads, olives, and loves them just as much as she loves the occasional treat dessert we have. Now we have 60 kid-tested vegan recipes that are healthy, quick, and simple, and perfect for baby led feeding. 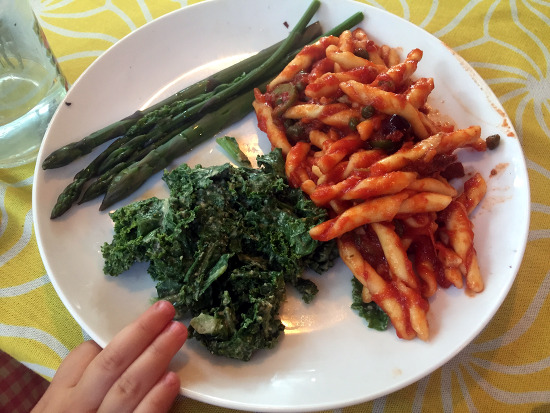 Perfect stick pieces of asparagus with pasta putanesca and garlicky kale salad. What if I Already Have a Picky Eater? I designed the book for really new eaters so their parents could avoid eating issues completely. But an unexpected thing happened during recipe testing... moms of picky eaters said their kids loved the recipes! "I so wish I read this when my children were babies. It was very informative. I'm ecstatic! I made the broccoli cheddar soup and BOTH my girls loved it which is a very rare thing in this household. Broccoli cheddar soup was my favorite soup before I was vegan and I've never even attempted to make it vegan. It tastes just like I remember!" "In retrospect I wish we would have let her eat more like this (even though it's a big mess) because she rejects so much food now that she's two (26 months). Maybe things would be a little different. We've tried the Fettuccine Alfredo. I like the simplicity of the recipe and she liked it. It was very quick to make and the longest part was waiting for the pasta to cook. 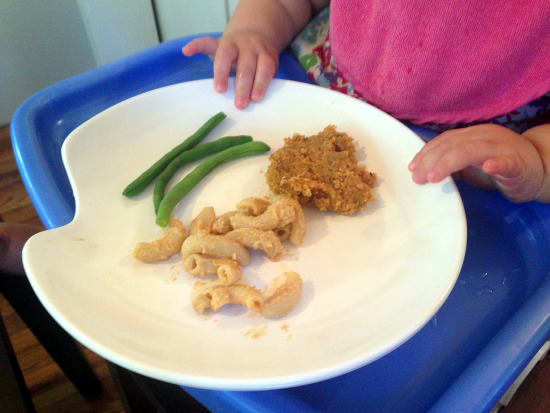 We tried the sweet potato recipe as a snack and she liked it too." "My boys are 5 and 2 and we've been vegan for almost 7 months! They really loved the Fettuccine Alfredo. I think you should target all parents of all ages! My 5 year old loves most of the recipes!" 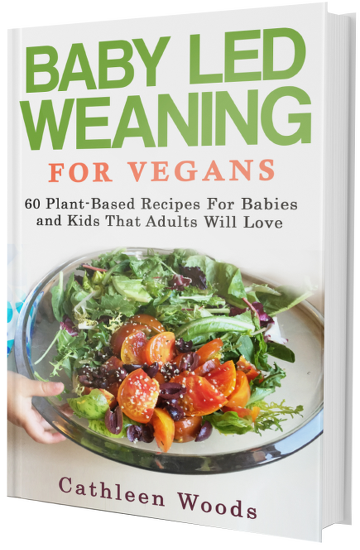 Download a copy of Baby Led Weaning for Vegans today for only $9.99, about the cost of one entree at your favorite vegan restaurant. You can use paypal, any credit card, or a debit card to download the ebook as a pdf that would be perfect for reading on your computer. Just click on the photo of the book or the Add to Cart Button Below. *Please note:* Buying directly through this link is best if you want to download and read the ebook on a computer or print out certain pages. If you prefer to use a phone or ipad, please go to Amazon to buy for the Kindle app instead. If you want to use a Kindle or Kindle app to view the ebook, I recommend going straight to Amazon to buy Vegan Baby Led Weaning for Vegans. It will be formatted perfectly through them, whereas the pdf above can be difficult to read on some phones. "The introduction to this book is worth the purchase! 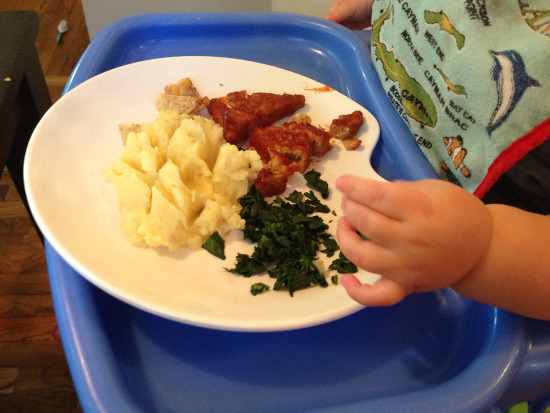 I am a mother of 3 and am often asked questions about when to introduce foods to children. The introduction is a comprehensive guide for children ages 0-2. From when to introduce different foods, to what types of foods are good first foods its sure to help both first time parents and parents who so easily forget when to introduce what. 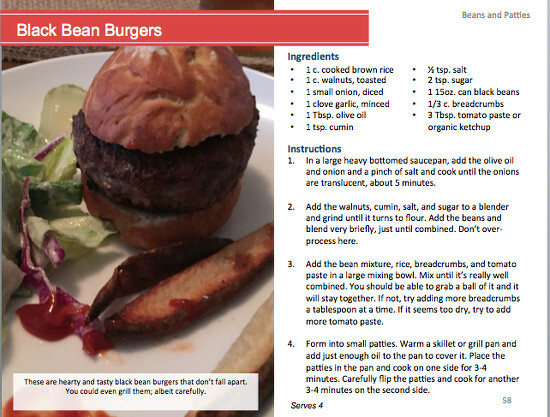 The recipes are easy to understand & fun to make. One of my favorites is the overnight oats they turned out delicious & was a real crowd pleaser. The Fettuccine Alfredo recipe was a favorite as well. From breakfast to dinner and snacks in between this a great addition to any bookshelf. Would recommend to other parents!" A lazy dinner of tofu scramble with greens and tomato risotto. Check out those wrists!